​An emotional support animal is typically a pet that provides comfort, companionship and soothes individuals if they become angry, anxious, have a panic attack, etc. They can help regulate emotions, provide a sense of safety and improve an individual's well-being. If a doctor determines that a patient with a mental illness would benefit from an emotional support animal, the doctor can write letters of support to public housing and airlines so the animal can be allowed in “no pets” housing or in the cabin of a plane. ​Would an emotional support dog be more ​appropriate for me than a service dog? 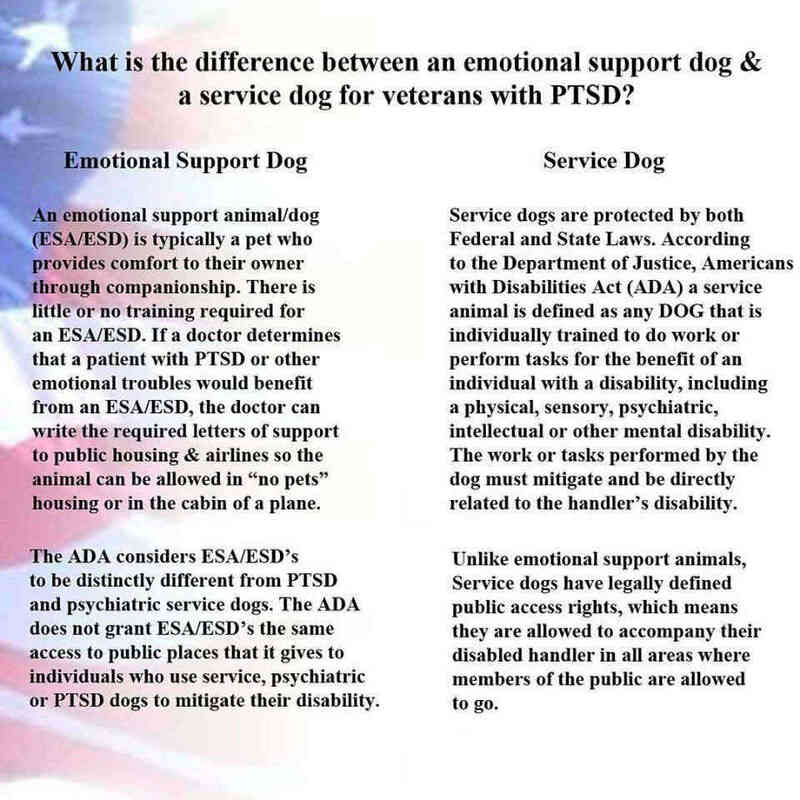 Additional info on emotional support dogs can be found on our PTSD Dogs page.